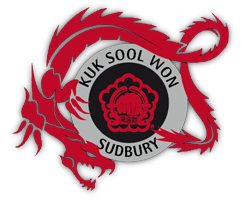 Kuk Sool Won ™ covers an extensive variety of techniques and martial art methods, but it is not merely concerned with the physical methods of attack and defence: Kuk Sool includes the study of healing techniques, the development of internal power, and physical conditioning. Training in Kuk Sool also helps to instil self-confidence and self-discipline, a calm self-assurance, and the psychological and spiritual values, which are traditionally associated with the martial character. Mental and physical well-being are of primary importance in Kuk Sool.